454 pages | 240 B/W Illus. Despite the expansion of the CAD field in recent decades, there is currently no single book dedicated to the development and use of CAD systems. 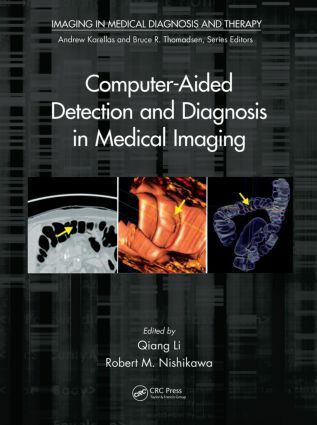 Filling this need, Computer-Aided Detection and Diagnosis in Medical Imaging covers the major technical advances and methodologies shaping the development and clinical utility of CAD systems in breast imaging, chest imaging, abdominal imaging, and other emerging applications. After a historical overview of CAD, the book is divided into four sections. The first section presents CAD technologies in breast imaging, which is the most advanced area of CAD application. The second section discusses CAD technologies in chest and abdominal imaging. The third section explores emerging CAD technologies in a wide range of imaging modalities designed to address a variety of diseases. The final section describes the current use of CAD systems in clinical practice as well as how CAD will play an important role in quantitative image biomarkers and imaging genomics research. This book brings together existing and emerging CAD approaches at a level understandable to students, CAD system developers, basic scientists, and physician scientists. Newcomers to CAD research will learn about fundamental aspects in the process of CAD system development. Developers of CAD systems will gain insight on designing new or improved CAD systems. Experienced researchers will get up-to-date information on the latest CAD technologies. Qiang Li is a professor at the Shanghai Advanced Research Institute and an adjunct associate professor at Duke University. Dr. Li holds six patents on CAD-related technologies and has published more than 60 peer-reviewed journal papers on CAD and medical imaging applications. Robert M. Nishikawa is a professor and director of the Clinical Translational Medical Physics Laboratory in the Department of Radiology at the University of Pittsburgh. A fellow of the American Association of Physicists in Medicine and the Society of Breast Imaging, Dr. Nishikawa holds seven patents on CAD-related technologies, has won 24 awards, and has published more than 200 articles on breast imaging.